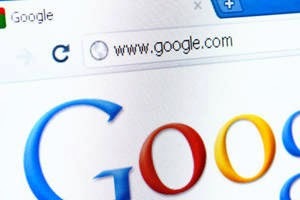 The internet is fast eroding people's memories of world-changing events in history, making them more forgetful as they increasingly bank upon Google to provide the information, a new UK study has found. The study of 2,000 adults found less than half of people surveyed could name the year when Princess Diana died, even though it happened as recently as 1997. Many respondents did not even know the year in which the terror attacks on the World Trade Center took place while many others were clueless about when the Berlin Wall fell, the 'Metro' reported. The important dates of world-changing events in history are fast disappearing from the memories of the internet generation, researchers said. Majority of the adults who took part in the survey said they made less of an effort to remember things "because we can look them up" on the internet. "The internet could be changing the traditional way we remember and process things - certainly compared to older generations," spokesman for Grant's Whisky, which commissioned the survey, said. The most common date people remembered was the Battle of Hastings, while the dates of the two world wars and England's World Cup win were also ingrained in their memory.